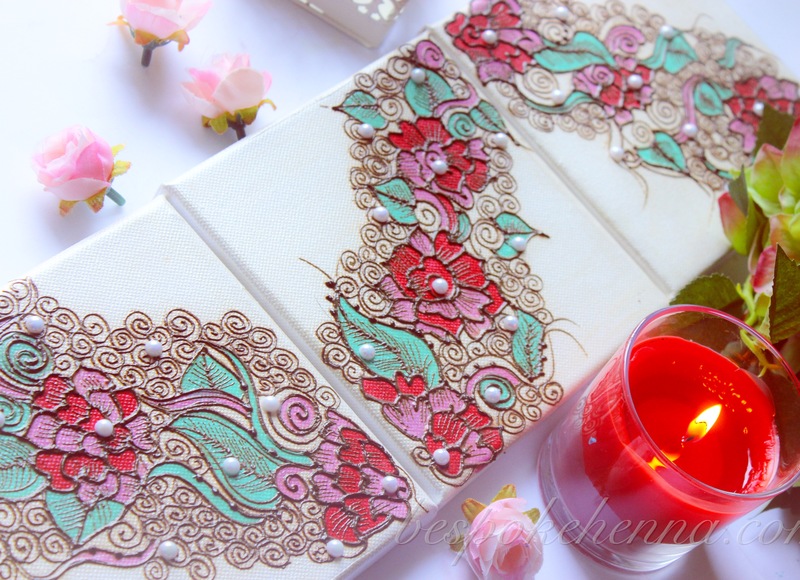 3 mini canvases intricately hand painted with natural henna, deep red, pearlescent pink and mint green acrylic paints. The set has been finished off with Saab pearl rhinestones. 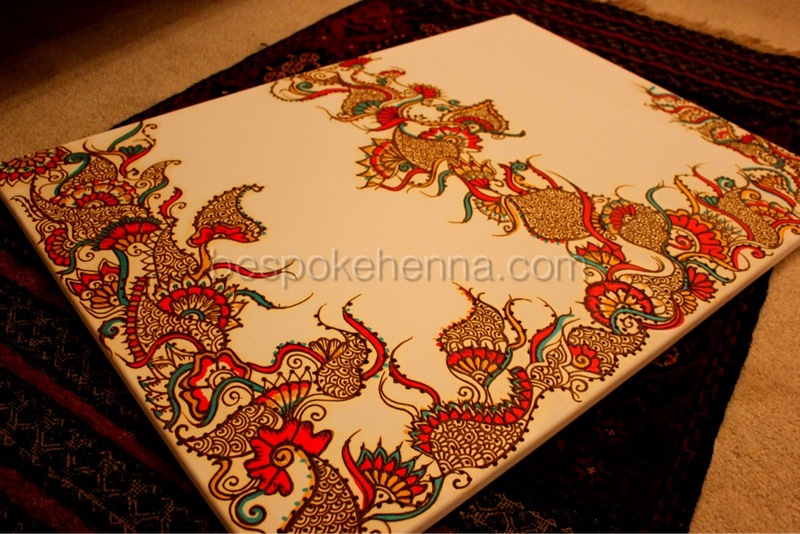 A 50cm by 60cm pearlescent canvas hand painted intricately with a variety of acrylic paints and finished off with AB rhinestones. 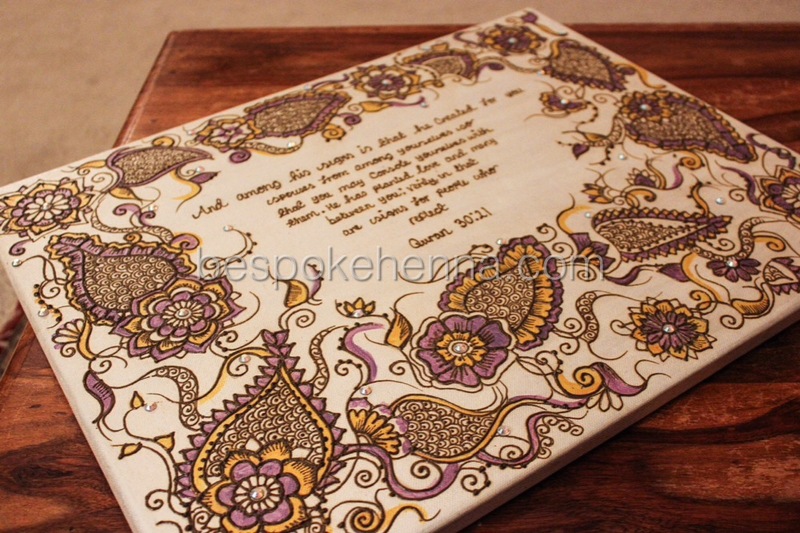 30cm by 40cm canvas hand painted on a pearlescent white background with pearlescent black acrylic and gold paints. 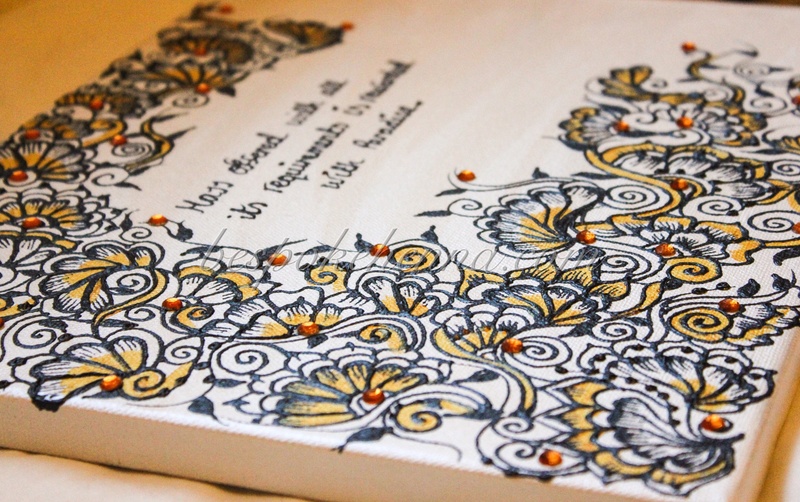 The piece has been finished off with bright orange rhinestones. 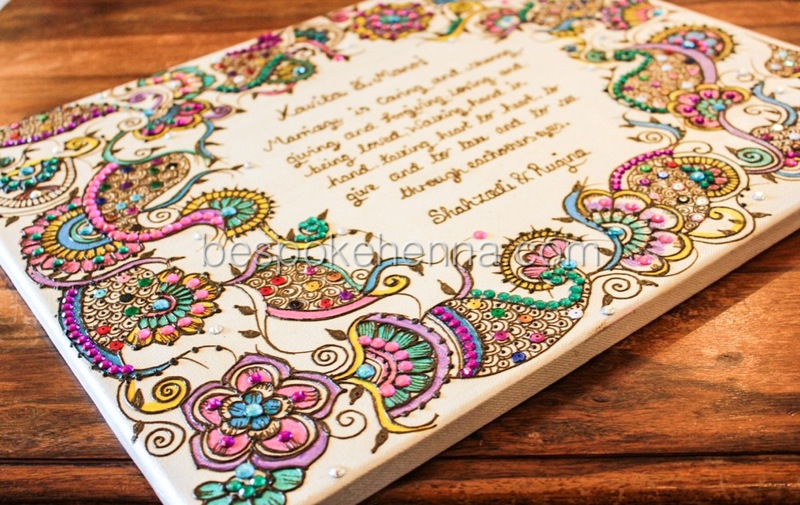 A large 60cm by 60cm pearlescent white canvas painted in natural henna and filled in with a metallic green, gold and two shades of pink. 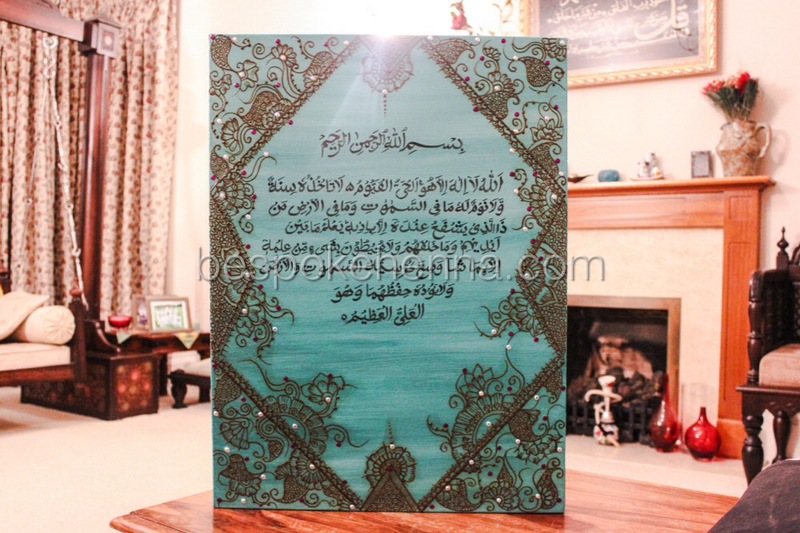 The piece has been embellished with emerald green, pearl and Ab rhinestones. 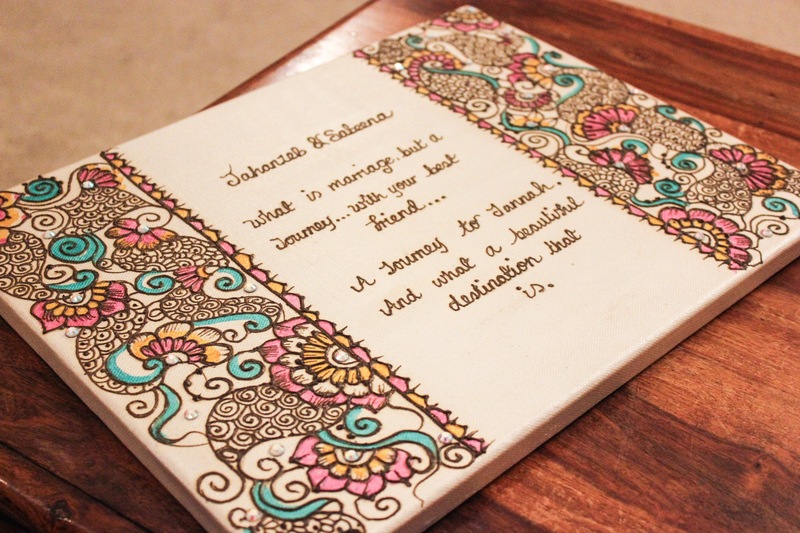 30cm by 40cm personalised canvas painted with natural henna and filled in with lilac and lime green acrylics. 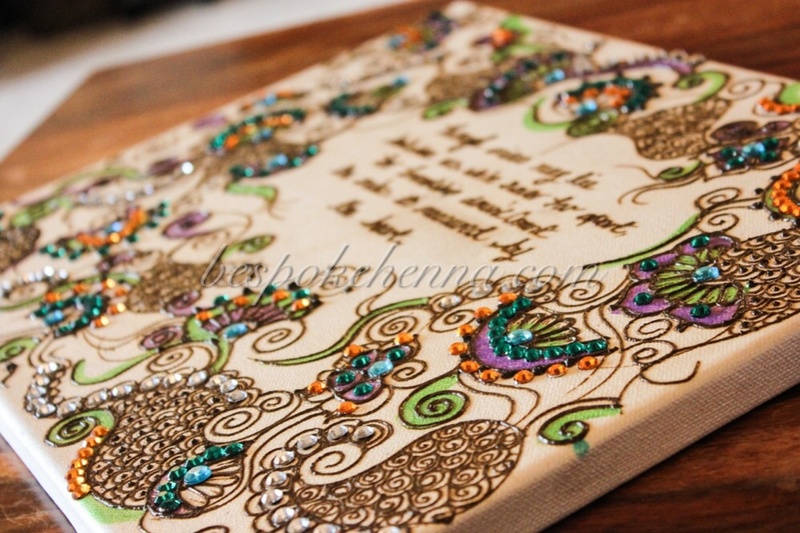 The piece is heavily embellished with clear, Emerald, aqua and orange rhinestones. 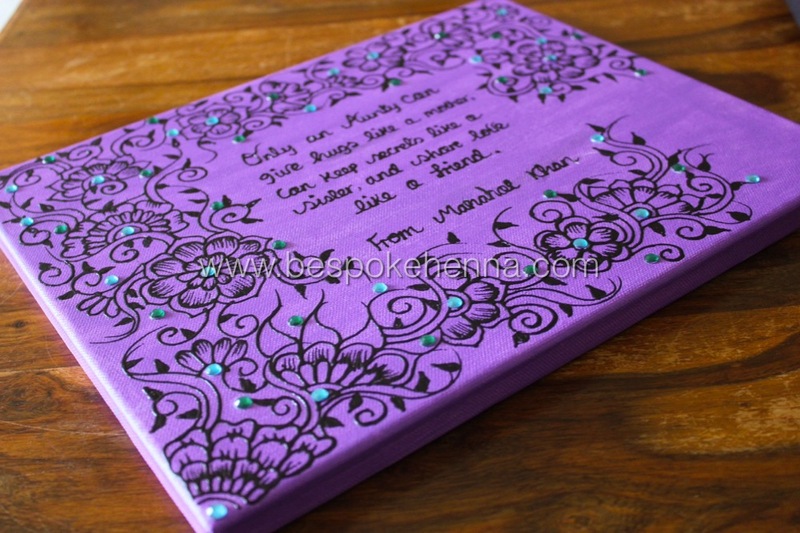 30cm by 40cm bright purple canvas painted in pearl black and embellished with aqua and emerald rhinestones. 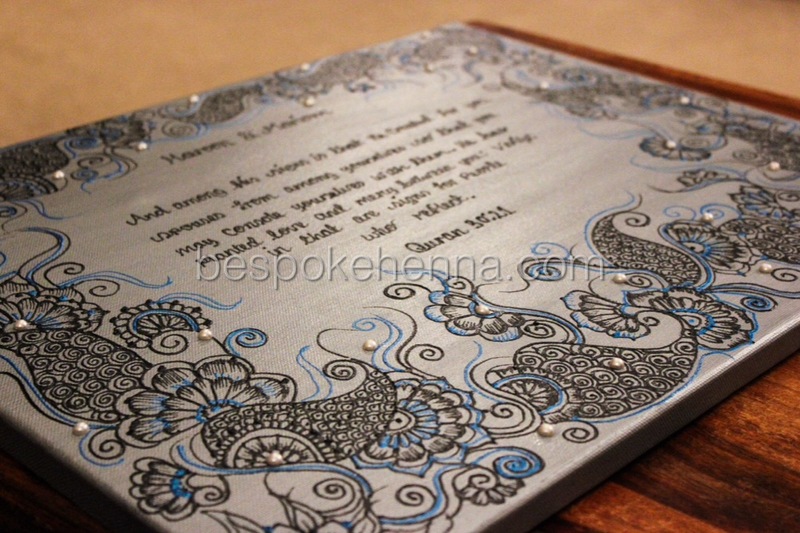 40cm by 50cm canvas painted in Silver and decorated with pearl black and sky blue acrylic paints. 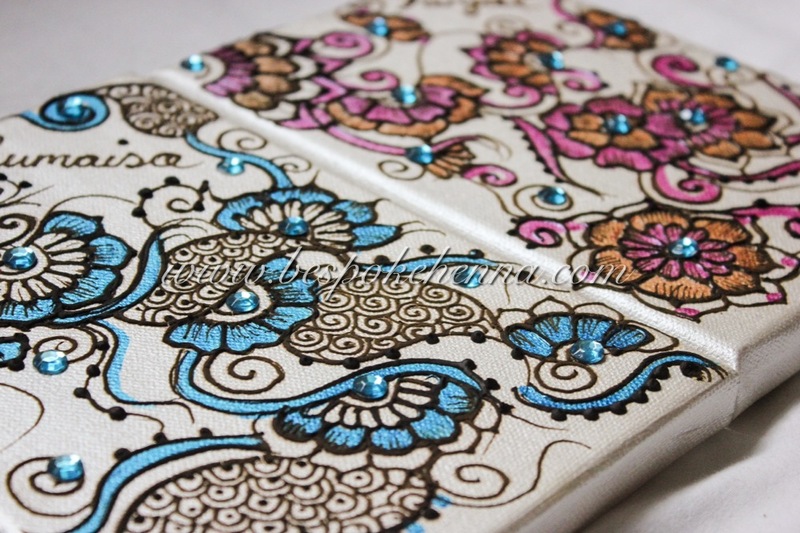 The canvas has been finished off with AB rhinestones. 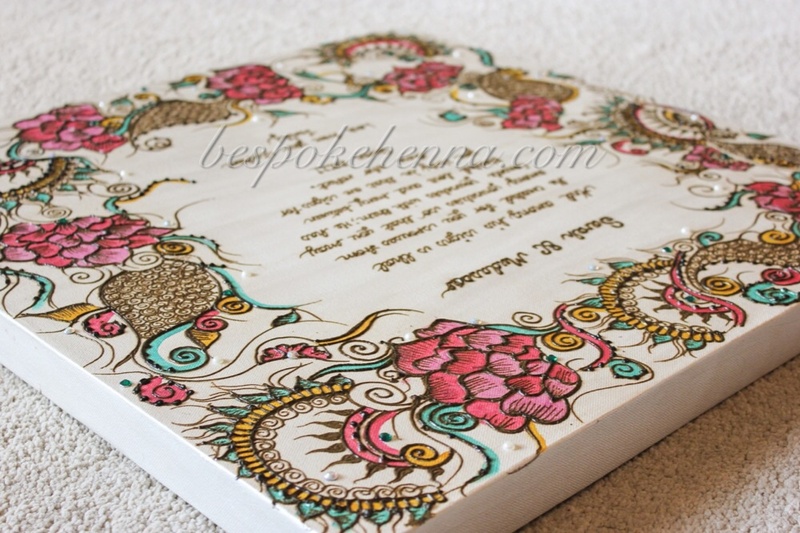 30cm by 40cm canvas painted on a pearl white background and decorated with natural henna, pink, metallic green and gold acrylic paints. 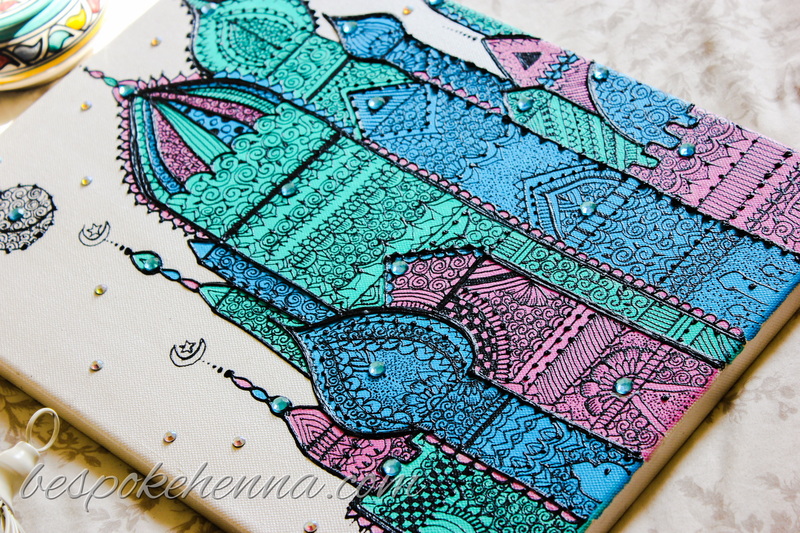 The piece is finished off with AB rhinestones. 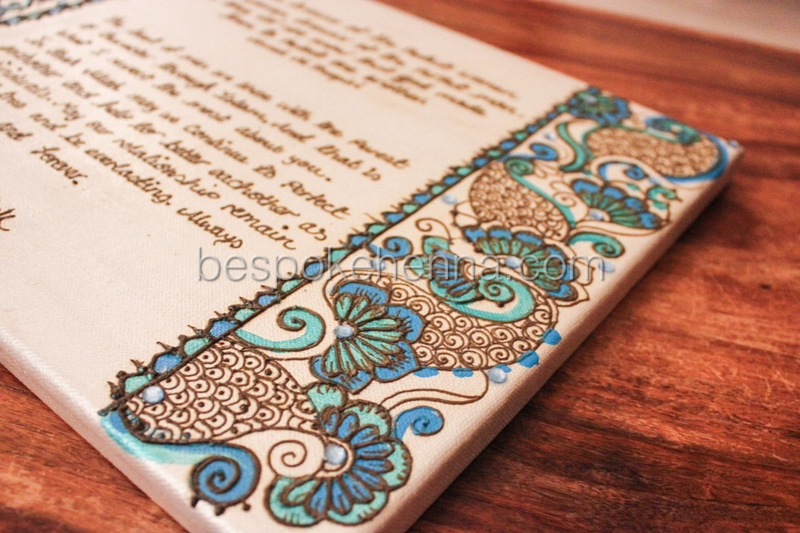 21cm by 15cm canvases (Can be personalised with a name) and can be decorated in a range of colours and designs. 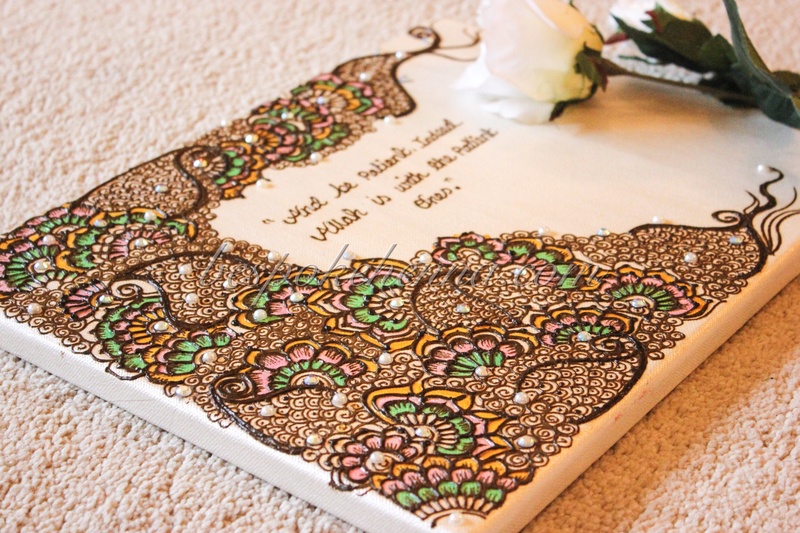 40x50cm custom made canvas, centered with a personalised note, hand painted with natural henna and finished with crystal embellishments.